Bermuda Botanical Gardens. Paget. April. See http://www.bdaexhibition.bm. Exhibition Secretary, P. O. Box HM 834, Hamilton HM CX. In 2016, on December 21, The AG Show Ltd signed a Memorandum of Understanding with the Bermuda Government to run the Annual Exhibition for the next three years. And the group has further agreed to help finance the revitalization of buildings at the Botanical Gardens over the coming years using proceeds from the event. The cultural “institution” has traditionally been hosted by the Government of Bermuda, but was cancelled in 2015 due to financial issues. The Ag Show has been an institution in Bermuda for generations and almost all Bermudians have fond memories of it. It offers an opportunity for people of all ages and backgrounds to get together, share stories and experiences, and participate in friendly competition. Bermuda would not be the same without the Ag Show, and the Green family of Bermuda, owners of the Hamilton Princess and other properties sponsor this 2016 event. The AG Show Ltd is now a registered charity, established in February 2015 for the purposes of holding the annual agricultural exhibition. The annual Ag Show, sponsored by all British counties in the UK where farming is still a major part of the local economies but is no longer the case in Bermuda, nevertheless welcomes as many as 25,000 attendees in Bermuda over three days and features up to 4,000 exhibitors. Participation in the event includes a large portion of the Island’s population, from seniors who have been attending it since the show’s early days, to schoolchildren and toddlers who get an introduction to things they might not see in their everyday lives. For information on donations and sponsorships for the show, e-mail secretary@theagshowbda.com. The show has a rich history. Its roots extend back as far as 1843, when then-Governor Major General Sir William Reid encouraged the adoption of agriculture on the island, where principal occupations included shipbuilding and seafaring. Entrants compete in a broad range of categories including horses, pigs, rabbits, fruit, vegetables, roses, orchids and woodcraft. About 2,000 pictures have been entered for the junior art competition. The Ag Show is probably the biggest cultural event in Bermuda and welcomes people of all ages and from all walks of life. There is an entry cost. For almost a century it has been as much a herald of the Bermudian spring as returning Longtails kiting across clearing skies or the freesias which shyly begin poking their multicolored heads through the long, rain-saturated winter grass. A combination of county fair, cultural celebration and community jamboree, the exhibit has long-since evolved and transcended its original purpose — to serve as an annual showcase for a once-agrarian Bermuda’s livestock and farm produce. Blue rosettes are awarded for first place in categories encompassing everything from farm animals to floral arrangements to fish sandwiches. Tug-of-war contests, gravity-defying acrobatic performances and more add a carnival-type flavor to the proceedings. From the roundabout (rotary in the USA) near Crow Lane Park in Paget Parish, Johnny Barnes, now retired, a remarkable Bermudian senior citizen, made a unique tradition for decades of waving a cheery "Good morning" - in all weather - to commuters exiting the parish to enter Pembroke Parish - where there is a statue to him just off the busy East Broadway main road - to work in or near the City of Hamilton. Derived from an evening British Army tradition. It is not a sound to retreat but a musical call, under spotlights in the winter months, to troops to reduce operations for the night, a military tattoo. It became a local custom when the British Army was first here in the 1700s. It left Bermuda in 1953. It is performed frequently - usually, monthly - by the Band of the Bermuda Regiment, under the direction of Major Barrett Dill, EM, AVCM. The Band has dress blue and red uniforms and white pith helmets. The Band is usually accompanied by the Bermuda Islands Pipe Band, under the direction of it's Pipe Major and Drum Major. Last performed in December 2014 by Margaret Fergusson, wife of then-Governor George Fergusson, when she carried out a traditional blessing of the new Bailey's Bay Bridge by smashing a coconut on it. No longer celebrated en masse in Bermuda, after years of decline, despite a recent resurrection attempt. 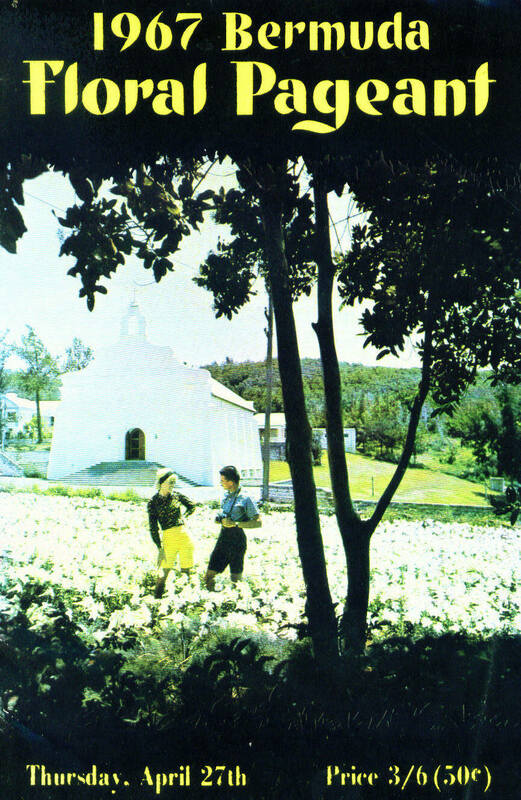 Because of the one-time annual Bermuda Floral Pageant, Bermuda's College Weeks were also annual events, occurring at the same time, attracting as tourists thousands of students from colleges and universities throughout the USA and Canada. A 1956 description in the USA's Sports Illustrated describes it thus, see http://sportsillustrated.cnn.com/vault/article/magazine/MAG1069587/index.htm. They were the most numerous by far of Easter-period guests at Bermuda's larger and smaller hotels, cottage colonies and guest houses, most of which offered special prices. Especially noteworthy and quote-worthy were the beach parties at the Elbow Beach Surf Club and the parties at the Bermudiana, Inverurie, and other hotels. Free-spirited and mischievous, the college students often became notorious for their boisterous or unruly behavior, with policeman's helmets, speeding on Bermuda's roads without helmets, swimming en masse across Hamilton Harbour, impromptu beach barbeques, party boats and much more. Many college students were able by special arrangement with the then-USA military bases in Bermuda, to shop there at PX stores and go to the movies. In those heady days of the 1950s, 1960s and 1970s the Bermuda government's Bermuda News Bureau, or Trade Development Board, later the Department of Tourism, organized and paid for all of the activities scheduled during the College Weeks 28-day period, with courtesy cards that entitled college students free admission to everything from "Get Acquainted" dances at major hotels to beach parties, boat cruises, and steel band concerts. 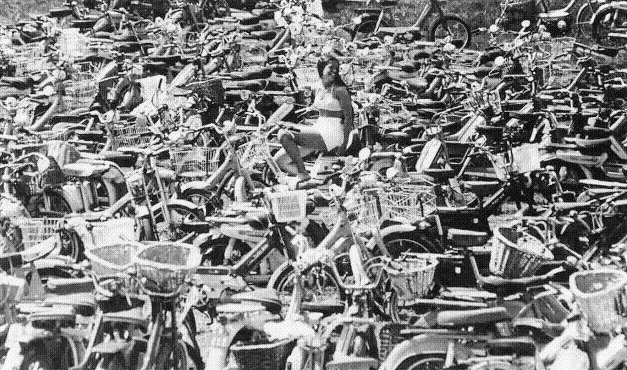 Scores of moped-riding college students took advantage of the island's hospitality. Those mopeds, Mobylettes and Zundapps, mostly, were often photographed in their hundreds, seen at indoor or outdoor events. As a result, Bermuda became one of the most popular Spring Break destinations, long before places in Florida took over. Major universities such as Harvard and Cornell sent musical and dramatic shows. The Hasty Pudding Theatricals and Harvard Krokodilloes were prominent among them. Female college students were more than welcome, especially for Bermuda's hungry males. Including some famous names, the young college ladies became Bermuda Beauty Queens and were crowned as part of the College Week ceremonies and events. Their Bermuda escorts for those events, always attired in tuxedos in the evening, were, by tradition, drawn from the most handsome or otherwise most eligible Bermuda membership of the Junior Chamber of Commerce. Bermuda wives and girlfriends were left at home when the college girls arrived. College Weeks 2012 exceeded expectations, according to the Tourism Department. About 250 visitors were drawn by the event’s re-launch. Tourism Minister Wayne Furbert had earlier expressed hope that as many as 200 students from universities and colleges in North America would attend. In the 1950s and 1960s, Bermuda attracted more than 10,000. College Weeks 2012 ran from February 18 to March 16. 2016. March 24. 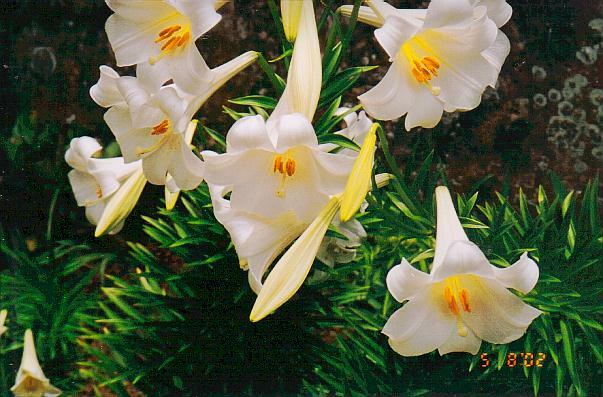 Governor George Fergusson and his wife sent Bermuda Easter Lilies to the Queen, continuing a long tradition. This year’s lilies were grown in the Government House gardens. 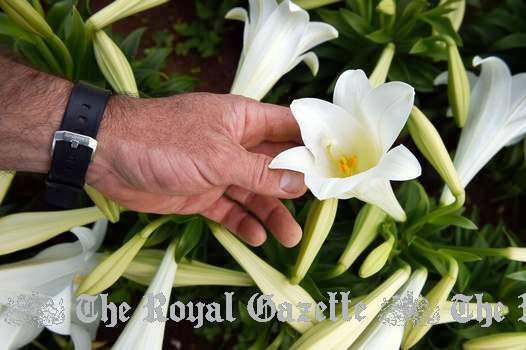 Government House said that Her Majesty’s Easter Lilies traveled on Tuesday evening’s British Airways flight to London and should reach Windsor Castle today. Her Majesty always writes to the Governor to thank Bermuda. These are a development of the British rowing dinghy or skiff, common in British coastal waters. 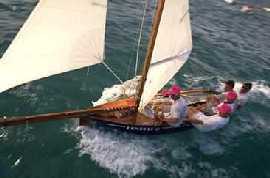 For many years, skiffs were used as a means of transportation from one part or island of Bermuda to another. British Army and Royal Navy Officers stationed in Bermuda in the late 1800s first designed the boat as seen now. Under their patronage, the first fitted dinghy race was held in the St. George's Regatta in July 1853. The next was at the 1854 Victoria Day Regatta. The third was a St. George's Regatta in 1855 with a 10 shilling entrance fee. Four pounds sterling were added to make up purses for the first two boats to cross the finish line in the handicap event. After several years of informal racing, the sport was organized and measurement rules adopted. It was decided that 14 feet 1 inch long would be the maximum permitted length. No decking is allowed and the keel is limited to 12 feet. All fitted dinghies have a 14-foot bowsprit, 40 foot masts and over 1000 feet of sail - more sail than any other vessel of similar length. Race rules allow the skipper to order as many people as he wishes off the boat, to gain speed. They usually depart from the stern, to give the boat a bonus in speed. There are only eight fitted dinghies. Five race on alternate Sundays from May 24 until September, in various parts of Bermuda. They are Elizabeth, Challenger, Contest, Port Royal and Victory. World-renowned sailor and sail designer Uffa Fox did not believe the vessel would float. But it did. The six people in a crew must improvise for survival and seamanship. They jibe from port to starboard for prevailing winds, try to keep upright, and can take on much water. To keep afloat, they jump or get pushed off. They have high speeds but are often sunk or are dismasted. Luck and talent win. They are always entertaining and often hilarious. Sadly, no longer offered, last one was in the 1960s, a victim of the hugely-changed social and racial scene. Until then it was by far and away Bermuda's most popular annual event, drawing thousands of visitors mostly from the USA. Because of it, Bermuda's "College Weeks" were a further event by themselves, occurring at the same time, attracting as tourists thousands of students from colleges and universities throughout the USA and Canada. A tradition that began when black slaves were first brought from Africa and the Caribbean. "Gombey" is derived from an African word meaning rhythm. It was originally intended to be performed only on Boxing Day (December 26) and New Year's Day - the two days of the year when slaves were given a rest from their labors. Today, Gombey dance and prance on Boxing Day, New Year's Day, other important events such as football (soccer )matches, at festivals or parades and holidays, also at hotels and guest houses. There is a method of collecting contributions from spectators. The musical accompaniment is usually a kettle drum with two snare drums, covered with goat skin, and a beer bottle fife which produces the sound of a flute crossed with a whistle. Their acrobatic Bermudian members whose routines are based on African, American Indian, Biblical, British "mummers" and West Indian lore and traditions. Each group is a "crowd." The Captain wears the most elaborate costume and is the crowd leader. The Wild Indian and Trapper have a perpetual chase. The Chiefs also carry large tomahawks and shields. Warriors or Choppers include children of families. Under the Captain, the dancers have duets and solos simulating combat. Once, they also re-enacted biblical stories like David's fight with Goliath. 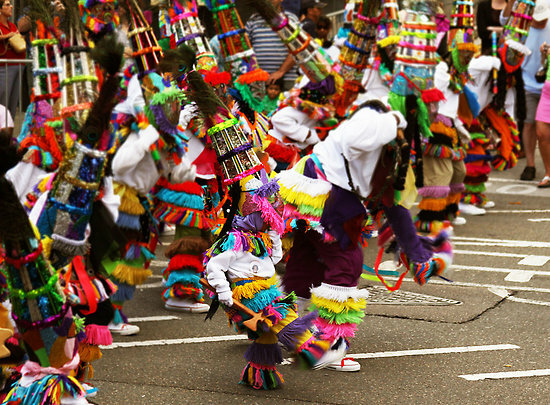 Gombey troupes include Warner's Gombeys, Norford's, the Shakey Smith Troupe, Richardson's, and Wilson's Troupe. Books include Gombey Boy and Bermuda Gombey by American born Bermuda author Mrs. Louise Jackson. A fun day, held on Bermuda Day, May 24. With floats, dance groups and majorettes. Partly in honor of The Bermuda Islands Pipe Band and also because of the many Scots and Irish who are resident in Bermuda and Bermudians with Scots and Irish forebears, there are many recordings available in Bermuda of Scots and Irish bagpipe bands and bagpipers, both civilian and military. In the 18th and 19th centuries, an Irish unit of the British Army was here. Scottish regiments were several times in the British Army garrison here until 1953. A Canadian Scottish regiment was based in Bermuda for a while during World War 2. Their bagpipes and drums accompanied the soldiers on Church Parades from Prospect Garrison in Devonshire to the city of Hamilton, waterfront on Pitts Bay Road and back. The idea became a Bermuda civilian tradition. Once there were two bagpipe bands here. One was the Bermuda Police Pipe Band which began in 1959. It proudly wore the Prince Charles Edward Stuart ("Bonnie Prince Charlie") tartan. Composed at first largely of members of the Bermuda Police and Prison Services, and other local enthusiasts, including some formerly in the Bermuda Cadets Pipe Band, they were soon performing at the Police Passing Out and ceremonial parades, a tradition maintained by the BIPB to this day. There was also the older Bermuda Cadets Pipe Band, so-called because it originated in 1955 as "A" Company of the Bermuda Cadet Corps when Captain Henry Hallett was the Company Commander. (Paddy Coyle of the Gordon Highlanders, whose idea it was to start the Bermuda Cadets Pipe Band, was in the detachment of the Highland Brigade stationed in Bermuda at the time. In his honor, the band wore the Gordon tartan). Bagpipe celebrities or those who contributed mightily since then include Denis Stuart; Captain Arthur G. Card, Commandant of the Bermuda Cadet Corps; Lillian Hallett; Mary Card Gibbons and Joan Tite. On the disbanding of the Corps in the early 1960's, the Band continued as a body of civilian volunteers under the name of the Bermuda Cadets Pipe Band. Wearing the Regimental Gordon tartan, the Band's first public performance was in the Remembrance Day Parade in 1956 when they began a tradition of leading the war veterans on and off parade. Another still active tradition of the BIPB began in 1963 with the weekly performance by the Cadets Pipe Band of the "Skirling Ceremony" at Fort Hamilton. 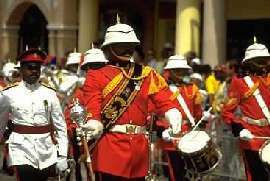 Yet another long-established relationship began in 1965 with both predecessor Bands and now the BIPB appearing with the Band and Corp of Drums of the Bermuda Regiment in the Beating Retreat in Hamilton, St. George's and the Royal Naval Dockyard. The BIPB has an equally strong tradition of representing and promoting Bermuda internationally having performed overseas on 18 occasions in the United States, Canada, Scotland and Germany. In 2003, the Band proudly promoted Bermuda at the Nova Scotia International Tattoo. The Band, bearing the Bermuda standard before it, has twice appeared in New York City leading other pipe bands. The Band's more recent international performance came in January, 2005, at the Musikschau der Nationen in Bremen, Germany, Norfolk VA, Birmingham UK and Hamburg, Germany. Another legend associated with the Easter holiday - although Easter Sunday itself is not a public holiday - is that of the passion flower, of which there is a Bermuda species. This climbing vine requires a sheltered southern location and a great deal of care, so you will not see it in exposed local gardens. It has five sepals or five identical petals. Spanish missionaries who first discovered the flower in South America made it known how the petals represented the disciples without Peter and Judas. The legend was imported to Bermuda as well. The double row of colored filaments, known as the corona or crown, appear to show to some the halo around the head of Christ and to others the crown of thorns. 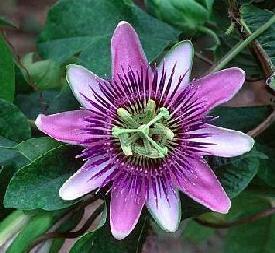 The violet stamens and other parts of the flower appear to show the wounds and nails Christ endured. Legend has it that people who walk through a Bermuda Moongate, especially but not solely young lovers and honeymooners, are blessed with good luck. The first plan for one in Bermuda was brought from a Chinese garden in 1860 by a local sea captain. 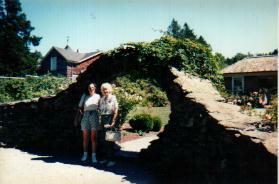 He drew the design of a circular, ornamental wooden gateway to a garden or place of inner repose and, once back in Bermuda, built one of his own. It has since been adopted by Bermuda as a national symbol. The real Chinese origin, many centuries old, of the Moongate was unknown locally until the former gardener of the Duke of Westminster in the United Kingdom was employed to lay out the grounds of the (former) Bermudiana Hotel in the 1920s being built at that time by the Furness Withy shipping group. 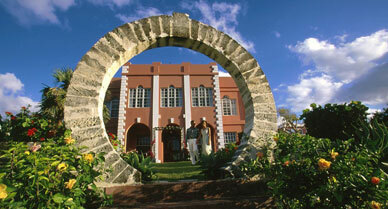 This was the first of the Bermuda Moongates in hotel properties. (In July 2004, a Japanese garden with a structure almost identical to what in Bermuda is called a moongate, won a Silver Gilt prize at the Royal Horticultural Society show at Tatton Garden in the UK). Some years later, one was seen at the world-famous Chelsea Flower Show, but as an authentic and much-admired Chinese Moongate. About 40 now exist in Bermuda, mostly on private property including in the gardens of several hotels but with public ones at places including the Bermuda Botanical Gardens; Par la Ville Gardens, Hamilton; and Tobacco Bay. Bermuda versions are always built of Bermuda stone and often but not always used as an entrance to a garden. Unfortunately, Bermuda Moongates do not export well as Bermuda stone, local limestone, is very heavy. 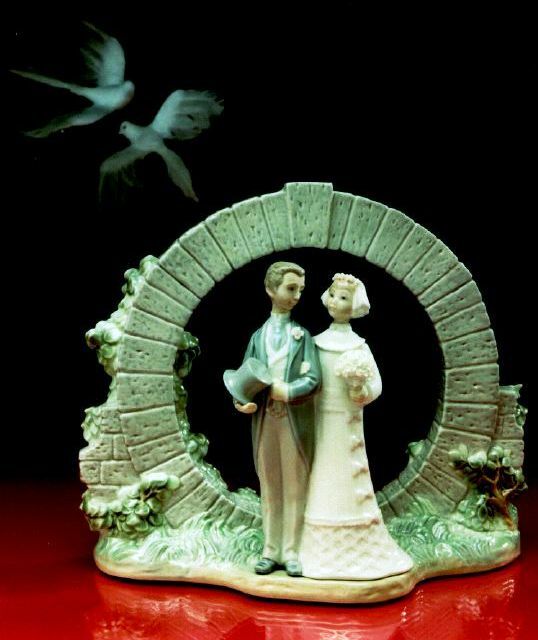 There is also a New England version, in granite, of the Chinese design, as one of the photographs above shows. Bermuda Moongate song. Composer Ralph Blane, from the USA, co-wrote the song "Step Though a Moongate." Once there was a 45 rpm record of the song, with Ralph singing. On the flip side of the record is "Bermuda Blue." One of his best known compositions was "Have Yourself a Merry Little Christmas" and other songs of the movie "Meet Me In St. Louis." 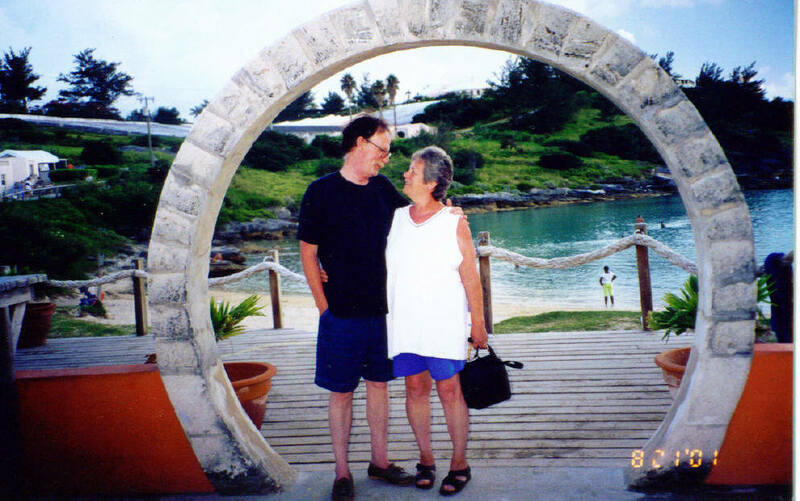 A local version of Step Through a Moongate, sung years ago by Gene and Pinky Steede, confirms the Oriental origin of the Bermuda Moongate in the words of the song. This lovely tradition has finished, with the last one held in 2008 and then in only one place, not several in every parish as was earlier the case. It was hugely interesting, culturally and environmentally stimulating and uniquely enjoyable in New York, Virginia, etc. It increased visitors by 30-50% for the months involved. Plus, they led to new friendships, referrals galore, much repeat business, encouragement to home owners to show off their homes and gardens and a recurring source of income to hosting organizations from the charges made to visit all the Open Homes and Gardens on specific days, in sequence. Local homeowners were reluctant to continue opening up their homes and gardens, quoting the need for security, the high crime rate which rendered their properties exposed to attack after publicity and more. On July 29, 2016 Pilot gig James T Griffiths, bearing the Somerset flag, emerged victorious over the pilot gig Jemmy Darrell, bearing the St George’s flag, in the race along Ferry Reach to the Swing Bridge finish line. Both gigs are named after Bermudian pilots. 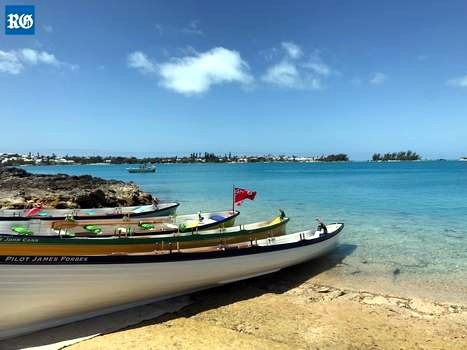 Gigs are a centuries-old Bermudian tradition: the wooden boats once greeted incoming ships and guided them in to port. The Cup Match race, in only its second year, is already a main feature of the gig racing calendar after the sport made a return in popularity in recent times. Long and narrow, gigs were built for speed, and the element of competition is nothing new: the boats once ranged far offshore with the hope of beating others to be the first on board an arriving ship. They were also renowned for rescuing passengers and goods from vessels in distress. Yesterday, James T Griffiths, was coxed by Anson Nash and Jemmy Darrell by Roger Gillett, with crews representing the respective ends of the island. The Somerset gig had a lead of just over a boat length for most of the race and despite their best efforts the St George’s crew could not claw their way back. Somerset takes the trophy of a large cedar thole pin where it will be displayed in the West End of the island until next summer. This makes it one victory apiece since the inaugural race in July 2015. Ronnie Chameau of the St George’s team said: “This can only bode well for the continued friendly rivalry between the teams. I heard one St George’s rower vowing to get their well-trained team together for 2017. I am sure Somerset will be ready to meet them fair and square.” Frank Raines, a regular visitor to Bermuda from Washington for 30 years, and his family donated the trophy and a cash prize to be given to a charity chosen by the victorious team. Somerset: Anson Nash (cox), Mario Thompson, Christiane Bosson, Pamela Mahoney, Lawrence Bird, Christopher Smith and Andrew Morille. St George’s: Roger Gillett (cox), Debbie Jones, Michael Jones, Cammie Simmons, Leeanne Cox, Sende Semos and Ronnie Chameau. There is a great deal of misunderstanding about this in the USA, Canada, Britain, Europe and elsewhere. It is assumed, wrongly, that this area is solely in Bermuda. To be entirely accurate, Bermuda is only one point of the three in - and by far the smallest part of - the Bermuda Triangle. 88 percent of all the sinister or unexplained events of the Triangle happened much closer to Florida - especially Miami - or Puerto Rico, the other two points of the Triangle. Technically, Bermuda is near to it but not actually in the Sargasso Sea where the majority of events may have occured. Draw a triangle between Bermuda, Miami and Puerto Rico to get an idea of the Bermuda Triangle and then consider the effect of enormous Florida, large Puerto Rico and tiny (only 21 square miles) of Bermuda. This is the descending order of importance of the three places in the Triangle. It may disappoint some to know this but there has never been any effect at all of the Bermuda Triangle on any of the customs and culture of Bermuda. This author was told personally by an elderly writer in the USA who studied the Triangle that when the original " Bermuda Triangle" was coined in the USA, it was supposed to have been the "Miami Triangle" but Miami objected as it did not want to lose visitors. 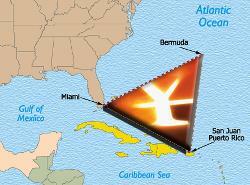 The "Puerto Rico Triangle" was the second choice, but it too objected, for the same reason. It is alleged that no one from Bermuda bothered to reply so the name stuck by default. This has never been proven so may be mere speculation. What is known to be true is that there have been quite a few ship and aircraft losses on the Triangle over the years, a few near Bermuda. The most interesting and comprehensive Bermuda Triangle website is done from the USA by an American, given the prominence of Florida and the US Commonwealth of Puerto Rico in the combination of facts and myth. Several books have been written about it. The Chinese, in particular, are said to be sensitive about it, believing it is unlucky to be in any way associated with it, which may help explain why Bermuda, Miami and Puerto Rico are not yet on the list of Chinese government-approved tourism sites. 3 layers high, Traditionally made to a wonderful old recipe. 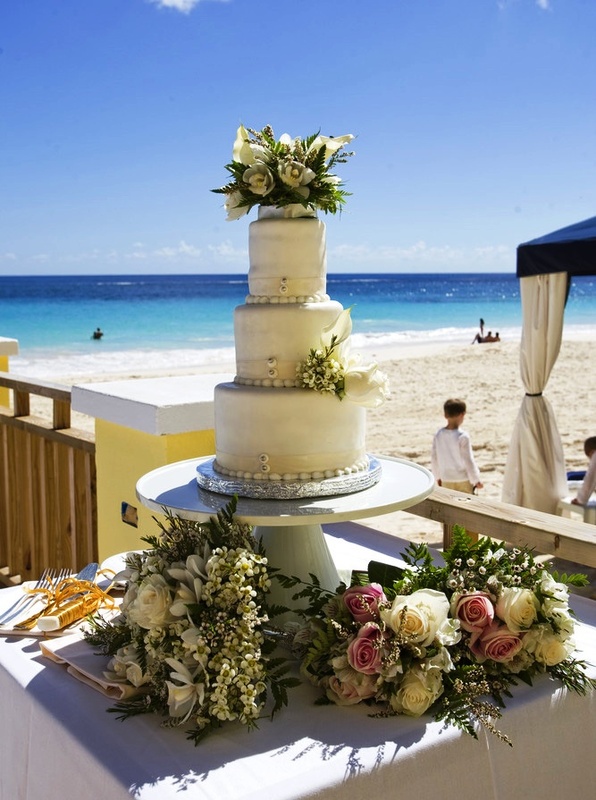 In past years, there were two cakes, one for the Bermudian bride, the other for her Bermudian husband, but that custom has weakened now, often to one cake as below serving both and their guests. Local advertisements, brochures, guide books, newspapers etc. spell certain words in the British - not American - way, despite the fact that Bermuda is so much closer geographically to the USA than to any other country. This may be confusing to our visitors, more than 85 percent of whom are American. Some words used locally, like "scheme," have a less pleasant connotation in the USA. Some British words end in "our" but the American equivalent ends in "or" for example, "harbor." Do you write your birthday 7 4 60 or 4 7 60? It depends on whether you are American or British or Canadian. The Bermuda Government spells its local Official Notices in the British and Canadian way. The Royal Gazette daily newspaper publishes its date of issue the American, not British, way. Traffic signs are confusing to Americans because distances are shown in meters (metres in Britain), not miles. And gasoline (petrol) prices are confusing to Americans because they are in liters (liters), not gallons. Most Americans think, wrongly, that gasoline is cheap in Bermuda because of the posted prices, but in fact they pay more in Bermuda for a liter (0.22 gallon) than for a gallon back home. And Bermuda drives on the left, not right, despite the fact that we have 8 times more visitors than locals every year. But if one writes for a mostly American audience as this website does it is good manners to do it the American way. But note, in the American, not British, way there are a number of Americanisms in Bermuda. Words like "liquor" not "alcohol" relate to certain licensing laws. There are more, such as sidewalks, not pavements. Next is December 2018. 2013. December 9. 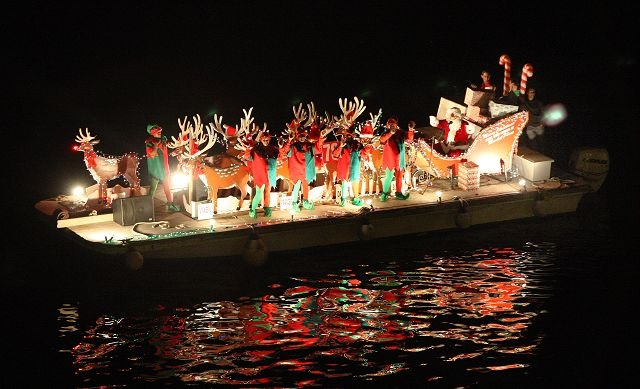 The Island's top spectator event of the year, the Christmas Boat Parade in Hamilton Harbour. A stunning display of Bermuda-based illuminated boats of all sizes, treating 20,000 viewers and ending with a magnificent fireworks display. An after-dark marine spectacle, free to all, on a Saturday evening in December before Christmas, watched mostly from vantage places ashore such as Albouy's Point and Barr's Bay Park. Front Street and Harbour Road also teem with spectators. It is now an established once-every-two-years Christmas-tide tradition (except for December 2008 when it did not occur). 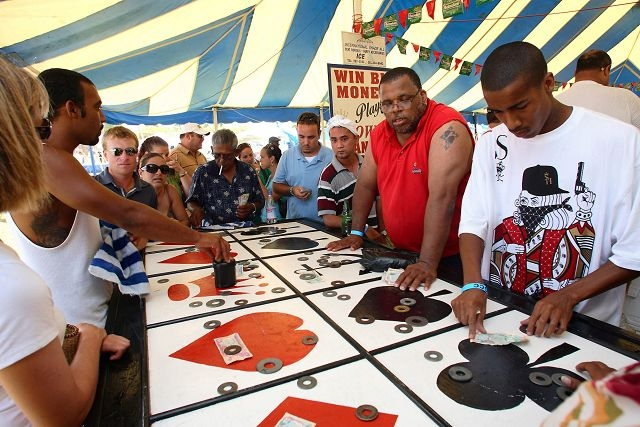 It draws a bigger audience than any other festive activity in Bermuda, over 20,000 spectators. Boats participating cover a measured course twice. Imagination and ingenuity of boat owners are incredible. Prizes are given in a number of categories. There are also sightseeing boats. The fireworks are launched from White's Island. It is superb, not to be missed by any local or visitor. In December 2013 19 categories of boats ensured that everybody won something for taking part. In top place for Best Commercial boat was Playmate, entered by Playmate Fishing Charters. Spirit of Bermuda won Best Sailboat, and Bermuda Pest Control's Blue Heron was the top corporate entry. The Caledonian Society of Bermuda won Best Non-profit with Naughtiness, while Bill Pitman's Sylvester took Best Powerboat under 25ft and James Boyce's Dutch Courage won the over-25 category. Best Bermuda Themed boat was Full Hott Scott, entered by Corey Masters-Brown; Jamie Chaters Megabucks won Best Community Message. Topping Most Original was Edwin Whitfield's Andrea Christine, while Friends of Black Seal got Most Humorous with Cedar; the Chewstick Foundation's Halcyon won Best Traditional Christmas theme. Twisted Tini entered by Martin Harvey took Best Contemporary. Best Crew Costumes went to Carlos Falcao's Lucky Charms, and William Knight White's Gabriella won Most Confusing. Fairmont Southampton Turtle Hill Golf Club won Best Use of Lights with Friendship, and Best Music went to Anamaria Worswick's Unholey. In the Pink Category, Peter Stableford's Just Sayin came in first, while Justin Williams's Justified was deemed Most Fun to be Aboard. The MarketPlace barge took the Children's Choice category. A local gamble particularly noticeable at Cup Match time. Whichever team hosts the annual Cup Match (see below) game accepts tenders for the gambling game of Crown and Anchor, one of the many "concessionary" events, operators of which pay Government a hefty license fee. The odds are always stacked heavily in favour of the operator, not the gambler. Players should first make a point of knowing the basics of the game. 2018. August 3. Somerset enjoy best-ever victory over St. George's. After piling on 378 runs on Thursday, Somerset bowled out St George’s twice. The latter's batsmen scored only 121 in their first innings. In the follow-on, St George’s were able to only add 223. Somerset won by an innings and 35 runs. This first day of the two-day Thursday and Friday Cup Match holiday in late July or early August is named to commemorate the most important modern events in Bermuda's 400+ year-old history. They are held by tradition on the two consecutive days of (a) Emancipation Day (see below) and Somers Day. These two days are, by Bermuda statute, always on the Thursday preceding the first Monday in August and the Friday preceding the first Monday in August. For many Bermudians, locals and visitors who do not have to work on a Saturday or Sunday this amounts to a 4-day public holiday long weekend. This Public Holiday commemorates the uniquely emotional, cultural, historic and racial day of August 1, 1834 when under British laws that then extended to all British colonies, dominions and islands, with Britons themselves in the UK having been freed since 1772, the Slavery Abolition Act was enacted locally under British legislative pressure, to free the Island's slaves. In Bermuda, 4.000 persons, until then slaves, became free. They and other former slaves who had already been freed from that moment on, gained equal legal status to whites. That momentous day is mostly celebrated with the annual cricket Cup Match classic between St. George's and Somerset, two prominent local cricket teams. It follows a tradition that first started on August 8, 1872. The Bermuda Cricket Club had earlier been founded in St. George's ( in 1845) and played its first cricket game against the-then British Army garrison in Bermuda. Long before cricket became the hugely popular sport it is today, a match played between the fleet team of the resident Royal Navy base and the British Army garrison regimental team was a major event in the social calendar of the Town of St. George. This sport was first brought to Bermuda in the 1840s by British Army soldiers stationed here. Cricket is a British game that originated in England centuries ago. It is not unique to Bermuda. It is popular throughout the British Commonwealth of Nations. Its local season is from late April to late September. In 1872, British cricket thus arrived for local civilians. For many years until 1902, the unofficial festive game was between two fraternal lodges on opposite sides of Bermuda - in Somerset in the west end and St. George's on the east end. The festive game began officially in July 1902 between the Somerset Cricket Club in the west end and the St. George's Cricket Club in the east end. Venues of the game change yearly between both clubs. Most recent (2015) winner is the Somerset Cricket Club. Today, among the cricket-loving nations and territories of the world, only in Bermuda does the whole of Bermuda grind to a complete halt for two days every summer to turn its attention to a cricket game. On Cup Match days, many Bermudians either go physically to the game or listen to it on the radio. Because the popularity of the festive annual game caused continued absences from employment the 2-day public holiday was first introduced in 1947 and has been in effect ever since. Since 1999, a celebration of emancipation is now part of the ritual of the first day of Cup Match, formally renamed Emancipation Day. It is a very busy time for camping and picnicking by Bermudians and locals at public (Government) parks or beaches. The designated campgrounds are Ferry Point, Coney Island and Chaplin Bay but all public parks and beaches can be invaded by persons pitching tents from two days beforehand and until the Sunday evening after Cup Match. It can be disconcerting for tourists who hope in vain for deserted public beaches and are not used to seeing campers pitching tents so close to public beaches. They would not be allowed in their own countries. Nor would the trash so many locals leave near their tents. In serious, comedic and other works, the Bermuda Musical & Dramatic Society, Black Box Productions, Jabulani Repertory Company and others provide cultural entertainment. Drystone walls, still found in some parts of Bermuda, are limestone walls made without mortar. Discontinued in 2008 as a lovely Christmas-time tradition due to economic conditions and the high price of fuel. Until then it was sponsored for many years by The Bermuda Electric Light Company, the only electricity service, which awarded prizes. Some Bermuda homes were dazzling. Dancers similar to those in Africa and certain parts of the Caribbean, from black families. They dance at certain times of the year and on special days. In 2018 there were 6 Bermudian Gombey troupes. They appeared in the 2003 Edinburgh Tattoo. The word Gombey comes from the African Bantu language and means both rhythm and drum. Noteworthy and quote-worthy are the books "The Bermuda Gombey; Bermuda's Unique Dance Heritage" by Louise A. Jackson and "Bermuda: Traditions and Tastes" by Judith Watson. Annual Gombey Festival. The event is held to celebrate Bermuda’s premier folk dancers, the Gombeys, whose dances celebrate a centuries-old Bermudian folk tradition that blends elements of African and Caribbean performance with North American native music and British military drumming. A tradition of dance passed down through the ages since Bermuda was first populated in part by those of African origin. Each year the festival honors an individual who has cultivated and strengthened the traditions of Gombey music and dance. In 2015 the award was given to Allan Warner of the Warner Gombeys, one of Bermuda's veteran Gombey Captains. He was joined by his family along with members of the Place’s, H & H, Warwick, Gombey Evolution and Gombey Warriors groups. The event was once known as the Gombey Competition, but has evolved into a celebration of a folk tradition that stretches back for centuries. Each troupe has its own distinct history, and the names of drummers and performers who had been influenced by Mr Warner were listed off to drumming, whistles and ecstatic cheers. 2018 October 6. A veteran Gombey dancer was honored yesterday at the launch of a festival to celebrate the island’s iconic dancers. Leon “Sparky” Place, a former dancer and drummer with Place’s Gombeys, as well as traditional dancers from overseas were at Victoria Park in Hamilton to publicize today’s Bermuda International Gombey Festival Showcase. Lovitta Foggo, the acting social development and sports minister, joined Bermudian troupes Place’s and Warwick Gombeys, as well as the Hermitage Shortknee Band from Grenada at the park. Ms Foggo gave special recognition to Mr Place, who was recruited into the troupe when he was 10 with his brothers, Dennis and Reginald Jr. She said: “He had little choice in the matter — his father, known as ‘Scranny’, was the group’s founder and captain, and Gombey was a family affair.” Mr Place succeeded his brother Dennis as captain in the late 1970s. Ms Foggo said Mr Place was a disciplined mentor for younger dancers and was “exceptionally creative”. She added that Mr Place had added more than ten original steps to the troupe’s repertoire. However, Ms Foggo said: “Perhaps his most enduring contribution to the art is as a master costume designer.” She explained that he had pioneered the use of wool fringes on the Gombey regalia, an innovation that brought new dynamism to dance moves. Ms Foggo said the annual festival was set up to highlight the contribution of folk dancers who represented a tradition “passed down the ages, from generations of master Gombey dancers”. She was speaking as Zayd Saleen, from St Croix in the US Virgin Islands, walked through Victoria Park on stilts, which are a symbol of the islands’ Moko Jumbies’ towering role as protectors. Bermuda’s six Gombey troupes will join international guests today at the main show ring at Paget’s Botanical Gardens. The free event is scheduled to run from 5pm to 9pm. A symposium, called Gombeys and Traditions of the Diaspora, will be held tomorrow at the CedarBridge Academy cafeteria from 2pm to 4pm. 2017. October 6. This year’s Gombey Festival pays special tribute to a trailblazer and keeper of Gombey traditions: the late Terry “Termite” Simmons. Mr Simmons, who died in January, aged 62, personified Bermuda’s unique art form — not only dancing, but creating the elaborate Gombey regalia. His handiwork still proudly adorns the St Monica’s Road residence of daughters Dawnae and Terrieka, and their mother, Dawnette Simmons. Mr Simmons grew up near by at the family homestead in Government Gate, where he first heard the distinctive drumming of the Gombeys and joined at an early age. He joined his godfather Charles Norford’s troupe as a child and performed with other groups, devoting himself to the Gombeys for the rest of his life. “Termite” was also a footballer and played for Centaurs, North Village and Young Men’s Social Club in his early days — and worked for more than 30 years at the Bermuda Telephone Company. Mr Simmons was also a sous chef at the Fairmont Southampton, additionally working for MarketPlace’s produce section, and Redeem Construction as a mason. Former MP Dale Butler, a Gombey scholar and cousin of Mr Simmons, recalled him as “a personable, well-known, extremely friendly young man. He had passion for Gombey dancing, its history, and for remembering the older performers. It ran in his veins. He was talented, gifted, and had the greatest respect for the tradition.” Deeply committed to the culture, Mr Simmons passed on Gombey traditions to his family — most recently to his grandson, Ricaija. Bermuda’s fraternity of Gombeys unites tomorrow at the main show ring of the Botanical Gardens, from 5pm to 9pm, for the International Gombey Festival Showcase, which is open to everyone. 2016. Saturday, September 10. Annual Gombey Festival. WER Joell Tennis Stadium. Doors will open at 5pm, with the festival on Marsh Folly Road starting at 6pm and the finale at around 8.30pm — where the peewee Gombeys from each troupe will perform for three minutes apiece. The event is held to celebrate Bermuda’s premier folk dancers, the Gombeys, whose dances celebrate a centuries-old Bermudian folk tradition that blends elements of African and Caribbean performance with North American native music and British military drumming. A tradition of dance passed down through the ages since Bermuda was first populated in part by those of African origin. Each year the festival honors an individual who has cultivated and strengthened the traditions of Gombey music and dance. In 2015 the award was given to Allan Warner of the Warner Gombeys, one of Bermuda's veteran Gombey Captains. He was joined by his family along with members of the Place’s, H & H, Warwick, Gombey Evolution and Gombey Warriors groups. The event was once known as the Gombey Competition, but has evolved into a celebration of a folk tradition that stretches back for centuries. Each troupe has its own distinct history, and the names of drummers and performers who had been influenced by Mr Warner were listed off to drumming, whistles and ecstatic cheers. Also during the celebration, H&H Gombeys troupe founder Tyrone “Funk” Nesbitt will be honored for his life’s contribution to the art form. Sylvan Richards, Minister of Social Development and Sports, called the festival “an opportunity not to be missed”. “With all the intricate costumes that have been created for each troupe, it will be a visual kaleidoscope of colours,” he added. Always in March - from Harvard University. Annual visit to Bermuda for over 50 years. Sponsored by the Bermuda Government's Department of Tourism which later became the Bermuda Tourism Authority. For full details of their history and significance see https://en.wikipedia.org/wiki/Hot_cross_bun. The custom was imported to Bermuda from the United Kingdom and is much favored locally. They are available from commercial Bermudian bakeries or as home-made, sold or given away in batches by family matriarchs who love to make them from scratch. They are square-shaped sticky buns about 1.85 inches wide and 1.5 inches deep, with icing sugar applied to them in the shape of a cross. This signifies Christ's agony and death on the cross. Accurately, a half marathon of 13 miles. Dates back to January 1910. It began as a friendly cross-country race began in June 1909 between Bermudian soldiers and those in the British Army then based in Bermuda. It was then hosted by the Somerset Athletic Club, a newly formed black community organization. Earlier, running had become a Bermudianized sport, especially in Somerset. but had not been competed for before then by non-locals. British soldiers witnessed the racing and wanted to join in but they were too late (see 1910). .
1910. January. The friendly cross-country race began in June 1909 between Bermudian soldiers and those in the British Army then based in Bermuda, by then renamed the Marathon Derby. It became an official annual event. It was hosted by the Somerset Athletic Club, a newly formed black community organization. British soldiers issued another challenge, which was accepted, with the locals stating they wanted it run from Somerset to Hamilton. Private Jordan, of the Duke of Cornwall's Light Infantry then stationed in Bermuda, was the first to cross the line, followed by Bermudian local and Somerset favorite John C. Bean. After Stanley Burgess first took part in 1921, when he was 20, and first won it in 1926, then 1927 and 1928 and eventually 10 times, it became famous locally. See the book Marathon - All the Facts, Winners and Drama. Dale Butler. Cancelled in June 2018 after being in existence since 1962, The event was then the brainchild of older brothers of Jill Raine, Eric and Anthony Amos and a group of their friends. 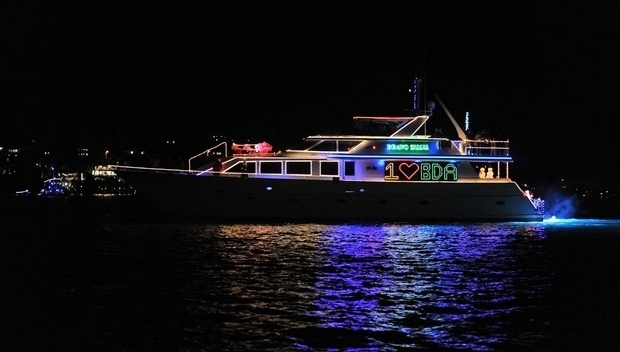 The idea behind the event was to poke fun at the disciplined world of yachting. They just wanted to do a spoof on it and that was to show a non-mariners race where everything was wrong. It was silly fun. There was no start and there was no finish. Non-vessels in the early days of the event included an antique bed, a refrigerator and a cello case. A chamber pot was presented as a race prize. Annual Non-Mariners races were first held in Hamilton Harbour. They later moved to St George’s and Ferry Reach before they settled on Mangrove Bay in 1972. Sandys Boat Club, which most recently sponsored the race and charged an admission fee, confirmed the cancellation of the event. A spokesman for the club said fewer entries, a change in the economics of the event, and a shortage of volunteers were behind the decision. The raft-up parties in Mangrove Bay will go ahead as planned earlier, on the Sunday following the annual Cup Match 2-day public. holiday. It ceased after October 31, 2018. 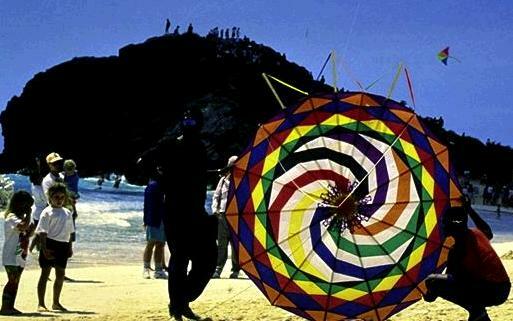 It has been a Bermuda tradition since the advent of newspapers in Bermuda in January 1784. From then on, Bermuda will be solely dependant on Government news via a government website for all government-related business. Beyond Bermuda, to ensure the widest possible circulation including for the disabled and senior citizens, print media is still the norm, with government conveying its official news via appropriate, wide-circulation print media as well as via the internet. Onions were introduced to Bermuda in about 1616 from Britain as English onions - before they reached the USA. Not until the 1830s did they become a major export. By the mid 19th century, Bermudians became known as Onions and Bermuda as the Onion Patch. The popularity of the by-then Bermudianized British Onion, or Bermuda Onion, led to the development of Bermuda Onion seed in Texas in 1898. In Texas, a farming community called itself the Bermuda Colony (later, Bermuda, Texas), on the north side of the Nueces River in Dimmit County. Competition began between Bermuda and Texas to export onions. A combination of what the Texans could do with their onions with the new railway system nationwide in the USA that Bermuda could not and high tariffs imposed by the USA, led to decline of the industry in Bermuda. After the Great War, exports were finished. Today, more people in the USA get their onions from Georgia than Texas. One reason may be that onions take six months to harvest. An annual favorite, a different location each year over several miles of flat and hilly areas in places usually barred to the general public, run by the Bermuda National Trust. Walking shoes with non-slip tread are recommended. No dogs or wheeled vehicles (such as mountain bikes and strollers). About every April 20. Hundreds gather in King’s Square to watch the annual morning Peppercorn Ceremony, the 202nd in 2018. The annual tradition in St George’s is based around Freemasons paying their symbolic rent for the Old State House. Numerous civic leaders, including in 2016 the Mayor of Lyme Regis, the southern English town twinned with Bermuda, are present to watch the treasurer for the Freemasons officially pay the peppercorn rent which is unchanged in two centuries. Festivities include a parade by the Royal Bermuda Regiment. Freemasons represent lodges from several countries, in 2016, Michael Dunkley, the Premier, MPs from both sides of the House of Assembly, and the Mayor of St George’s, Quinell Francis, who arrived in a horse-drawn carriage, were officials attending. Governor George Fergusson and Mrs Fergusson, who arrived escorted by police, celebrated the final Peppercorn Ceremony of their time in Bermuda. In a speech to the crowd, Mrs Francis said that the Corporations of St George’s and Hamilton have been working together on improving governance through legislation, thanking Michael Fahy, Minister of Home Affairs, for amendments to the Municipality Act to allow them to again collect wharfage. Mr Fergusson highlighted the rich history of the island, but added that Bermuda remains a leader in the modern world. After his speech, the Governor’s council left to conduct its annual meeting in the Old State House. There are many people of Portuguese extraction (mostly from the Azores) extraction. Some are still Portuguese nationals, despite long residence that in any other country would have qualified them as citizens. The Association has a splendid troupe of dancers, men in red waistcoats and women in red skirts and tight bodices. They dance to traditional Azorean tunes, on special days including the Bermuda Day May 24 Parade celebrations. When new houses, apartment blocks and office buildings gave their roofs completed, to seal out the rain, wind and moisture, locals celebrate with a roof wetting on the roof. All who participate on the roof have to be able to go up and get down unaided and must wear hard hats. Usually, an owner and contractor or builder are the key persons and climb the outside of a roof via a ladder. 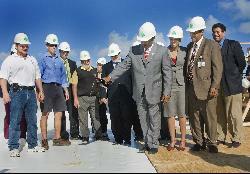 As this picture of a January 2009 roof wetting shows, in winter suits are often worn by the owners while the construction foreman and crew are in working clothes. When the Bermuda Government is the owner, usually the Minister concerned is present. A bottle of black rum is either poured on the roof or is shared, or both. 2018. December 7. The Royal Bermuda Regiment plans to offer learning credits for soldiers to enhance their training. Wayne Caines, the Minister of National Security, announced the move as he updated the House of Assembly on the Regiment’s activities. He said the credits would allow soldiers “to further their education and development. Growing the capability of the men and women who make up the regiment can only result in the growth of the capability of the Regiment as a whole.” He said the force reorganized last month into two operational companies of about 100 soldiers each, supported by a logistics company and training wing. One company will focus on internal security in support of the police, and the other has a dual focus of humanitarian aid and disaster relief, locally and overseas. Mr Caines added that work continued on “the much anticipated Coast Guard Unit”. He said: “The Regiment has taken possession of Watford House on Watford Island and, pending final approvals, a floating dock and fencing will be installed.” Mr Caines said the Coast Guard will work jointly with police in its first year to enable training to be completed. He described 2018 and the formal end to conscription as a “turning point” for the Regiment. Mr Caines said that 2019 would be the years when “the seeds of change bear fruit”. He added: “The renewed offer to our soldiers of enhanced training and increased education and development will be a key feature. The Regiment will continue to market itself as a feasible, long-term-career, and will provide leadership and management training for enlisted ranks and junior officers.” Mr Caines said that two recruit camps would be held next year with the first intake starting on February 19. 2019. June 23. Legislation to end conscription into the island’s military was passed in the House of Assembly last night. Wayne Caines, Minster of National Security, said the Defence Amendment Act was “a once-in-a-generation chance to transform the Royal Bermuda Regiment into a bespoke hybrid organisation, which is more efficient, effective and professional”. Mr Caines, a former officer in the RBR, said that conscription had “served Bermuda well over the years”. But he added: “That said, the modern era dictates that the time has come for conscription into the Royal Bermuda Regiment to end, as is the case in each of the other Overseas Territories. I am confident that Bermuda will be the better for ending conscription.” Mr Caines said his ministry had worked with the RBR to make sure the regiment would be able to sustain its volunteer numbers. He added: “The RBR will continue its extensive public relations campaigns and incentive programmes in order to attract men and women to serve.” Mr Caines said a review by the RBR had been conducted over the past six months. He added the report found that a total of 327 personnel, 28 officers and 299 soldiers, could carry out the work of the RBR. The number is down from the 400 soldiers recommended in a 2014 report. Mr Caines said the review also focused on the creation of a coast guard. He added: “The plan for the RBR Coast Guard is for the RBR to commence training now and perform the role alongside the Bermuda Police Service until the RBR Coast Guard is fully trained and completely take over the function.” The new Coast Guard is expected to take over maritime security duties in April 2020. Mr Caines said the RBR would recruit with “a promise to invest in those officers and soldiers who volunteer to serve Bermuda”. He added: “Through training partners in Bermuda and overseas, the regiment will deliver a pathway of education and training that is second-to-none. 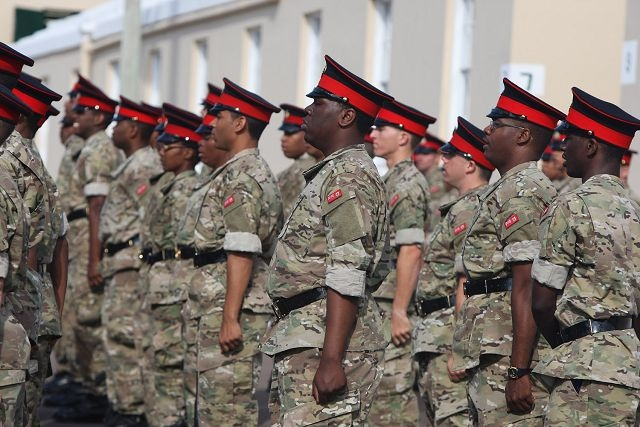 In short, this is a very exciting time to be a member of the Royal Bermuda Regiment.” Mr Caines said that he had met pressure group the Nine Colonels who “remain steadfast in their belief that conscription should not end”. But he added that they were “open” to the recommendations of the latest review. Mr Caines said: “They have made it clear that they would like to see a clear time continuum and firm undertaking by the Government that shows a commitment to enacting the key recommendations.” Michael Dunkley, a former premier and shadow national security minister, said that he had always felt “very uncomfortable” about conscription. He added: “I am glad that the day has come where we can deal with it.” But Mr Dunkley added: “At the same time, we need to make sure that the RBR is in a position to effectively fill out their mandate.” Lieutenant-Colonel David Burch, the Minister of Public Works admitted he was a “reluctant member” of the Regiment when he signed up. He said he had been opposed to the abolition of conscription, but that he could see the benefits of the Act. Colonel Burch added: “My own view on this has evolved. I get that times change and situations evolve. In order for this to be successful in terms of the survival of the Royal Bermuda Regiment, we require people who are in service to have the ability to convince young people that this is something they want to do. It must be aggressive and talk to young people where they are.” Patricia Gordon-Pamplin, a One Bermuda Alliance backbencher, said: “There are some of our young people who didn’t want to be there but who will tell you in retrospect that they could not have had a more positive experience. I’m going to miss hearing the positive experiences from those who didn’t want to do it.” Jamahl Simmons, the economic development minister, admitted he had been a “reluctant” conscript, but that the Regiment helped to “instil basic life skills”. 2018. June 22. Legislation designed to end conscription into the island’s military is to be debated in the House of Assembly today. The Defence Amendment Act 2018, tabled by Wayne Caines, the Minister of National Security, was drawn up to fulfil a General Election promise last year. Mr Caines, a former Royal Bermuda Regiment officer, said the end of compulsory service is “a critical step in the modernization of the organisation and transforming it into a broader career choice for Bermudians”. But a group of former commanding officers predicted the end of conscription would be the “death knell” for the defence force. The Nine Colonels, who fought a rearguard action to block the plan to end conscription, said a volunteer-only service would not attract enough volunteers. The One Bermuda Alliance administration ended annual conscription in 2015, but left it on the law books as a “last resort”. The RBR has run several volunteer-only recruit camps since then. The House of Assembly is also expected to have a take-note debate on the 2016 Housing and Population Census Report. Fitness is an important component of military training. The RBR continuously challenges an individual both physically and mentally in order to ensure their preparation for the demands of the military environment. Mr Caines said: “As Minister of National Security, I’m encouraging those able-bodied men and women in our community to seriously consider volunteering for the Bermuda Regiment. It is a rewarding experience, both from a community standpoint and financially. I have served in the Bermuda Regiment and I am grateful for the time I spent there. I’ve had the opportunity to see first-hand both the work and training involved and there is nothing that gives a person greater pride than being able to serve their country. 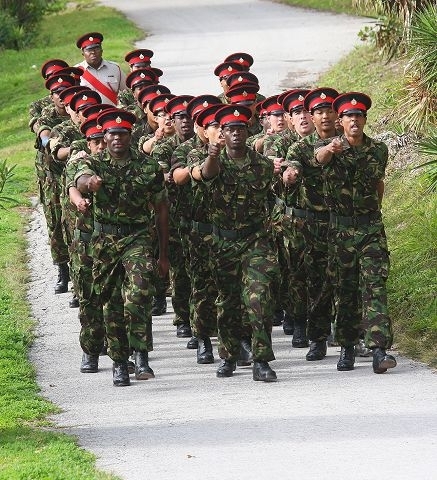 So we want to encourage the next batch of leaders to join these ranks.” Colonel Curley said: “I would like to take this opportunity to encourage all residents of Bermuda between the ages of 18 and 35 who can spare the odd weekend or evening, who can attend an annual two-week camp either locally or overseas in order to volunteer to serve our country. I volunteered for Military duty approximately 28 years ago and decided to be an officer because I wanted to learn and be able to help promote an environment that fosters good sound judgment, positivity, leadership, team building and personnel interactions among our future soldiers.” Interested individuals can either visit Warwick Camp, the Hamilton recruitment centre or www.RBR.bm to sign up. For more information, call 335-0252. 2017. November 8. Conscription to the island’s defence force is to be abolished in the next few months, the Minister of National Security announced yesterday. Wayne Caines added that the end of compulsory service in the Royal Bermuda Regiment was “a critical step in the modernization of the organisation and transforming it into a broader career choice for Bermudians”. The RBR already has a Boat Troop responsible for inshore maritime patrols, but it was planned that the Regiment will assume a “core function” in the island’s security services. Mr Caines, a former RBR officer, said the goal was to develop a full-time defence force designed to operate in all areas of security and supplement existing resources “as necessary”. The minister, who retired from the Regiment as a captain, said the force would become a challenging career opportunity for Bermuda’s men and women. He added the RBR would boost volunteer recruitment by holding a second recruit camp during the summer, as well as the traditional January intake. Ending conscription has been an increasing priority since 2010, and the island marked its first all-volunteer camp in January 2016. Mr Caines noted that a raft of amendments to the 1965 Defence Act, passed in 2015 under the previous administration, had required time for training and had since come into force on November 1. The minister said a potential salary figure could be $65,000 a year after the requisite specialist training. The landmark announcement follows years of discussion under two successive administrations to take conscription off the books. The previous One Bermuda Alliance administration ended conscription — but left it on the law books in case it were ever needed. Mr Caines added that he expected to bring legislation to abolish conscription to Parliament at the start of next year. 2017. January 26. The senior military representative at the British Embassy in Washington has paid a flying visit to the Royal Bermuda Regiment’s latest recruits. According to a press release, Brigadier James Carr-Smith, Military Attaché in the United States capital, said he was impressed by the commitment and standards of the RBR. “Fantastic is my first impression of the troops,” he said. He said that, although this was his first visit to the island since taking over the military attaché’s post last August, he had heard favorable reports about the RBR’s standards. Brig Carr-Smith added that he had British Army friends, some from the RBR’s affiliated regiment the Royal Anglians, who had worked with island troops on overseas deployments, including Kenya. He said: “The RBR’s reputation is world-renowned and, importantly, well-founded. There is a lot to like.” Brig Carr-Smith was speaking after he toured Warwick Camp, speaking to new recruits on the firing range and the drill square, as well as instructors and full-time staff at Warwick Camp. He said that the RBR’s equipment and training, as well as its customs and traditions, were founded on those of the British Army. Brig Carr-Smith added: “We also have the same weapon system as the RBR and we’re wearing the same combats, while drill instructors have been on courses back in the UK, so I 100 per cent recognise the little training I have seen so far. If I was lucky enough to stay longer, I would recognise even more. Everything I have just seen and the interaction I have had with the young men and women, and some of them not so young I might add, is very positive.” And he singled out new soldiers, conscripted years ago before it was decided to make the RBR all-volunteer but had been pending due to living or studying overseas, who had chosen to volunteer as an good indicator of the spirit of the recruits. Brig Carr-Smith added the RBR compared favorably with the 15 Army Reserve infantry battalions in the UK. He said: “Their recruit basic training is very similar to what I have just seen with RBR basic training.” Brig Carr-Smith, due to return to his post at the British Embassy in Washington on Friday, added he had also been impressed by Bermuda. He said: “The people I have met are hugely friendly. 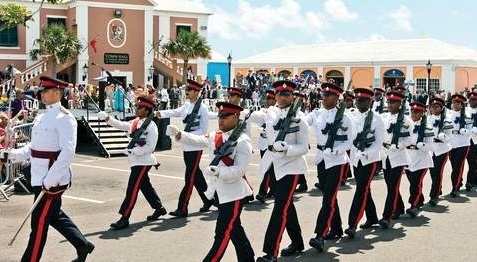 The thing that really has struck me is how well-integrated the Royal Bermuda Regiment is, not just with the society it serves, but, importantly, with the other agencies — police, immigration, customs, the fire service — and that inter-agency approach is very important in all our armed forces. That’s important in whatever country you’re in because no conflict will ever be solved by military intervention alone. Co-operation is vital and I see that in abundance here in the Royal Bermuda Regiment.” RBR Commanding Officer Lieutenant-Colonel David Curley escorted Brig Carr-Smith on visits to Governor John Rankin, police headquarters at Prospect and on his tour of Warwick Camp. Lt Col Curley said: “It’s reassuring that a senior British officer has said such great things about us. And it’s also very gratifying that the RBR is recognized around the world as good ambassadors for Bermuda.” The 60 new soldiers are now approaching the end of a tough two weeks of introduction to life in the island’s armed service and will finish their training with a formal passing out parade this weekend. 2016. February 12. Royal Bermuda Regiment - 50 years Strong. Book. 2016. Tony McWilliam. Celebrating its half centenary. The 160-page book features interviews with former and serving soldiers and charts the history of the RBR since it was formed in 1965 through the amalgamation of the Bermuda Militia Artillery and the Bermuda Rifles, formerly the Bermuda Volunteer Rifle Corps. Published by the National Museum of Bermuda Press under the auspices of the Bermuda Regiment Charitable Trust, $50. 2015. September 2015. Now the Royal Bermuda Regiment, earlier the Bermuda Regiment since 1965. Once, Bermuda had its own two local military units, the all-black but white officered Bermuda Militia Artillery and the all-white Bermuda Rifles, each with their own unique military traditions. They served on the side of Great Britain in World Wars 1 and 2 with bravery, distinction and loss of life. They were amalgamated in 1965 into one new unit, the Bermuda Regiment. Today, only Bermuda, Cuba, North Korea and Switzerland still have compulsory selective conscription of able-bodied young men annually. However, it is expected that by 2016 it will become mostly a volunteers-attracting unit, with conscription mostly or wholly ended. 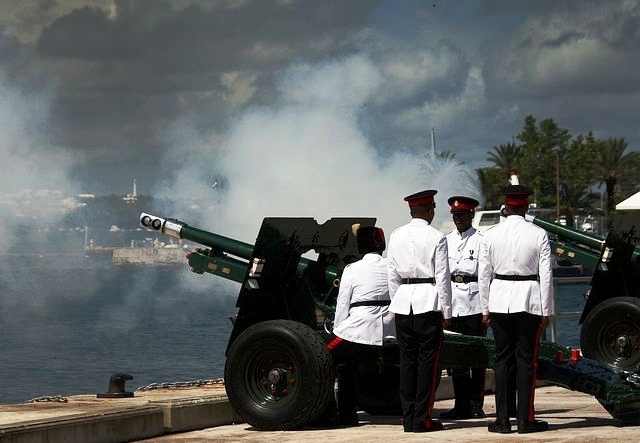 Its presence at major Bermuda events including Beating Retreat and Remembrance Day events has become a cherished local tradition. 2015. April 12. The public have been invited to join the Bermuda Regiment band and other community bands and musicians for a reunion concert to mark the regiment’s 50 years of service to the Island. (The Regiment is technically a reserve unit, 28th in order of terms of precedence, of the British Army, similar in stature to the Royal Gibraltar Regiment). The North Village Community Band, the Somerset Brigade Band, the Bermuda Islands Pipe Band, the Bermuda Chamber Choir, the Bermuda Youth Orchestra and members of the Warwick Academy Orchestra will perform. 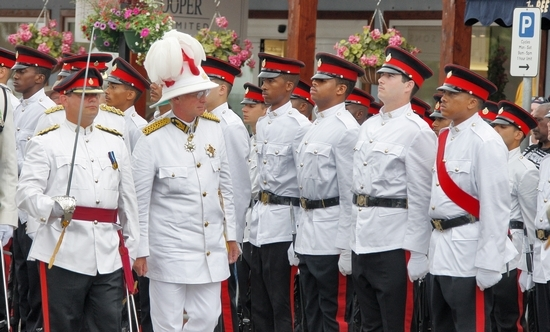 Governor George Fergusson is the commander-in-chief of the Bermuda Regiment. Attendees must obtain free tickets in advance at bdatix.bm and are encouraged to carpool. Access to the grounds of Government House is by the North Shore Gate only. Gates open at 1.30pm, with limited parking provided within the grounds. Concertgoers are welcome to bring their own baskets, blankets and chairs. Refreshments will also be on sale. Limited seating will be provided for seniors. In the event of inclement weather, please listen to media messages or look for posted signs that will indicate whether the concert has been moved indoors to the Ruth Seaton James Auditorium. 2013. December 11. A band of former Bermuda Regiment commanding officers is launching a campaign to block conscription from being abolished, claiming the move is not in the best interests of the Island and will result in the army unit eventually being dissolved. The group of local retired military top brass has taken aim at protest group Bermudians Against the Draft, accusing it of making “outlandish statements”, and also dismissed Government proposals that the Regiment should be staffed entirely by volunteers, saying that would drive up costs. Prior to last December’s general election, both political parties pledged to abolish conscription. And last month, Government confirmed in its Throne Speech that legislation to end the controversial policy was in the pipeline, although Public Safety Minister Michael Dunkley has insisted the change will not result in the Regiment being disbanded. But a statement released yesterday — signed by eight of the Regiment’s 14 former Commanding Officers — claimed that conscription was the only method by which the Regiment could keep operational — adding that the controversial practice did not violate human rights and did not enslave anyone. 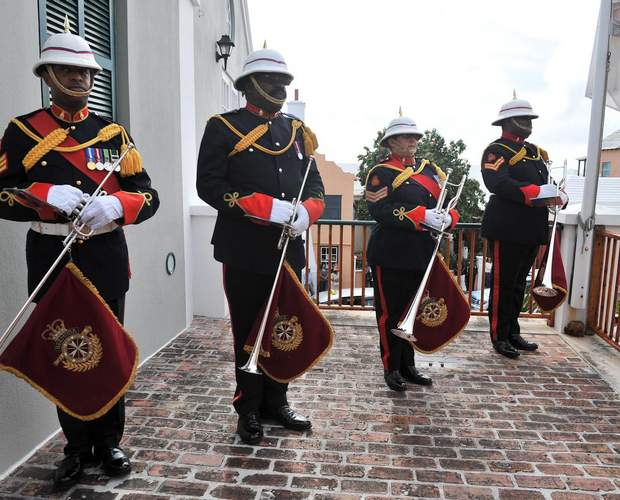 “The recruitment process by which the Bermuda Regiment sustains its strength has been maligned in recent years to such an extent that our political establishment wishes to make a change,” the statement, headlined ‘In Defence of the Bermuda Regiment’, said. "The Regiment’s most important role was to assist the police in times of civil unrest or disobedience. To carry out this role the Regiment requires more than 400 personnel of all ranks. The number of people volunteering to join the Regiment annually has been fewer than 30. If conscription is abolished then where are the necessary personnel going to come from? Not volunteers. The majority of Regiment leaders had been drawn from conscripts, and that volunteers alone would not provide a large enough pool from which future leaders could be recruited. Abolish conscription and the Regiment will downsize by attrition to become ineffective for its role. This is Bermuda’s post-World War II experience. We are a small, isolated island community with a very limited gene-pool, unlike the United Kingdom or United States; two often quoted examples of all-volunteer military forces. There are simply not enough Bermudians born to fill the requirements of all the uniformed organisations in Bermuda — mainly Police, Customs, Regiment and Fire Services. To abolish conscription is not in the best interests of Bermuda, and will over time have a dramatic result — Bermuda will lose the Regiment.” Turning its sights on Bermuda Against the Draft, the statement asked: “Are the moves towards recruitment solely by volunteers the response to an action group advocating to abolish conscription? This group has made many outlandish statements over several years and has legally challenged the concept of conscription on numerous grounds to the highest court possible. All legal challenges have consistently been lost. Conscription does not violate human rights and it does not enslave anyone. The anti-conscription group should be given no credence whatever. To give them any credence is a serious error in judgment.” And the group also questioned the cost of a full-time volunteer unit, claiming it would “require substantial uplifts in pay scales to attract the number needed. It will cost substantially more to fund the Regiment as a result. Taxpayer costs will rise. This, too, is contrary to our best interests.” The statement ended with a battle cry, urging former soldiers to join in the fight “to preserve the Regiment as it is. We will try to act as spokesmen for the Regiment over the next few months, to rebut some of the untruths and specious arguments that are being advanced, and to help the community understand how grievous the loss will be if the Regiment is thrown on the scrap heap to appease an anti-conscription lobby that has no legal credibility. We mean no disrespect to those we will be opposing. Indeed, it will be difficult for soldiers who have been brought up in an atmosphere of respect and neutral service to engage in any kind of campaign at all. However, we feel circumstances warrant our current course of action — indeed, we would be remiss in our duty to the unit if we failed to speak up.” The letter was signed by former Regiment COs Lt Col Michael Darling, Lt Col CE Raynor, Lt Col Gavin Shorto, Lt Col Allan Rance, Lt Col Patrick Outerbridge, Lt Col David Gibbons, Lt Col William White, Lt Col Brian Gonsalves. Two former Regiment commanders absent from the list of signatories are Lt Col Edward Lamb, and Lt Col David Burch. Lt Col Lamb, who is now Commissioner of Prisons, last night declined to reveal his reasons for not adding his name. “I have no comment to make — I was invited to sign but I chose not to for a number of reasons which I won’t disclose,” he said. Lt Col Burch, who had a high-profile political career following his stint in uniform, could not be reached for comment last night. In 2013 a Bermuda Regiment private soldier was paid at an hourly rate of $17.87. A private soldier’s initial enlistment period of service (by conscription or voluntary) is 3 years and 2 months (40 training periods and a 2 week training exercise per year). Upon completion of solely their basic duties during their initial enlistment period they are expected to earn not less than $13,000 pa. The Regiment’s budget for 2013-2014 was $6,959,000. Then-Governor Richard Gozney inspecting the Regiment. Bermudians, especially before the days of electronic weather forecasting, once used to rely heavily on unique, home-made, soda bottle, shark-oil based "barometers" to predict storms and other severe weather. Local St. David's Islanders in particular used to catch and eat shark and, if it met the conditions and was the species of shark required, cooked it in its own liver oil. The shark has to be caught in certain months when the liver is white in color. The process must be done in natural sunlight in a non-metallic container. After being melted down in the hot sun, it was poured into any soda (carbonated beverage) bottle and hung outside. The appearance of the oil altered consistently with changes in the weather. From that time on, bottles of shark oil began appearing on walls or terraces. Local practitioners of the art today say a reliable way of knowing what the weather is going to be like is to secure the bottle with string, hang it up with the bottle straight, not tilting, then observe over time how the shark oil settles or remains cloudy. Some old timers still check shark oil before going out with their boats into deep waters. There are dozens of theories on why shark oil changes with the climate and whether it really is effective. The only one that seems to fit is that electrical changes in the atmosphere - at least in Bermuda, possibly elsewhere too - affect the shark's liver and alert the shark to move out to deeper water before a bad storm. The oil retains this function when removed, and the change is visible, the oil switching from a clear golden color like cooking oil to milky white. Shark oil is common in many countries with sea access and so are soda bottles and shark oil barometers, so there is no need to export them from Bermuda. Given in Bermuda to whose whose courage, selflessness and hard work have changed Bermuda for the better. Their names can be submitted them for consideration in the Queen’s Birthday and/or New Year's Honours List. Honorees include voluntary work, arts, health, sport, education, science, business and politics. The Queen’s Certificate and Badge of Honour is awarded to individuals who have made outstanding contributions to public life or served the community over a sustained period. Nominees should be still active in their chosen area, newly retired or have had a recent significant achievement. The honours are a good way to say thank you. There are many unsung heroes in Bermuda who quietly contribute in all kinds of important ways to improve the lives of Bermudians. It is an opportunity to pay homage to those who work tirelessly for and on behalf of others, and a chance to say thank you for years of hard work and dedication. Nomination forms can be downloaded from the section on the right of www.gov.bm/governor-bermuda, and applicants are cautioned not to discuss the matter with their chosen nominees. Completed forms must be received by the Cabinet Office no later than 5pm on the last working day of April or October.